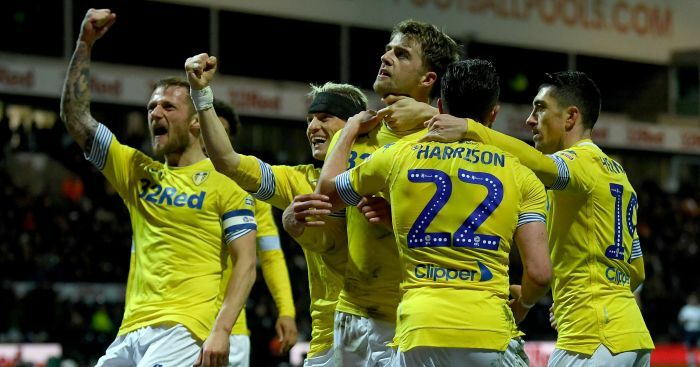 Marcelo Bielsa’s reign got off to the ideal start as Leeds United breezed past Championship favourites Stoke City 3-1 at Elland Road. United pulled off a coup by appointing the former Argentina and Chile coach in June in a bid to end their long wait for a return to the Premier League. 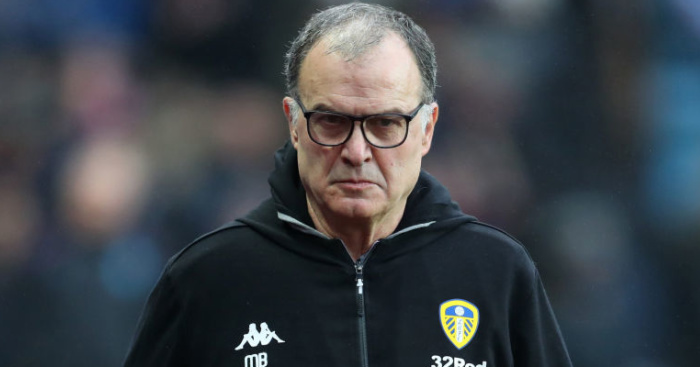 Goals from Mateusz Klich, Pablo Hernandez and Liam Cooper ensured the 63-year-old kicked off his reign in English football in emphatic fashion. Stoke appointed Gary Rowett and splashed the cash this summer following relegation but, despite a Benik Afobe penalty, Leeds made a mockery of the bookmakers’ odds. The Potters could not cope with United’s high-tempo pressing and made errors, with England goalkeeper Jack Butland at fault for Hernandez’s strike. 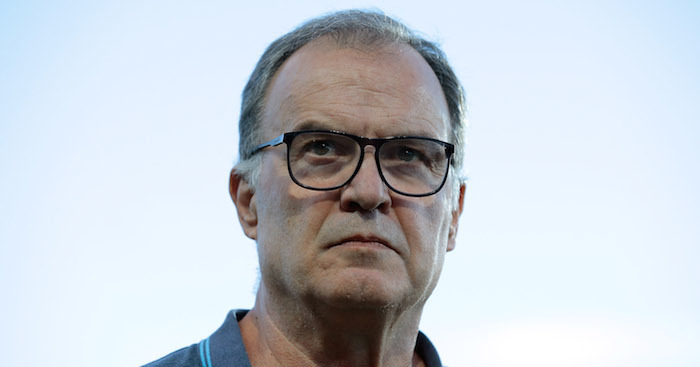 After a minute’s applause in memory of former Leeds player Paul ‘Rolls Royce’ Madeley, United raced out of the traps like a Bielsa team is expected to. They had an early chance when Kemar Roofe’s volley was parried away by Butland, linked with a move away from Stoke in this transfer window, from an Ezgjan Alioski cross. Leeds made their early dominance count in the 15th minute as Samuel Saiz jinked past a couple of defenders and fed an exquisite pass through to Klich, who hammered home past Butland on his first league start since last September. The hosts had their tails up and Saiz saw a shot blocked, but debutant Tom Ince almost caught Leeds out with a 25-yard left-footed strike that hit the crossbar. Cooper came to the rescue in the 28th minute, intercepting a James McClean pass as Stoke found themselves two-on-one in the penalty area following a mistake from Gaetano Berardi, before Peter Etebo shot tamely at Bailey Peacock-Farrell. 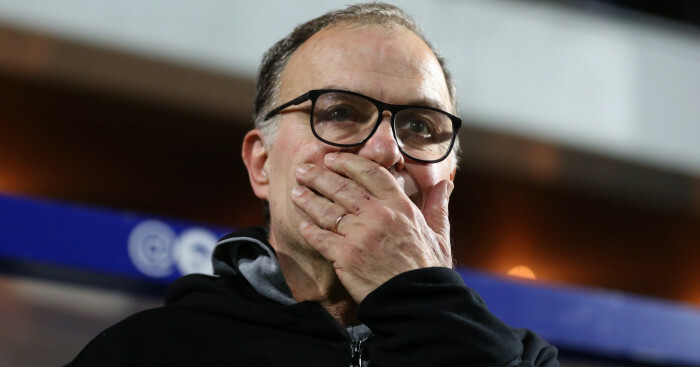 Leeds almost made it 2-0 but Alioski volleyed straight at Butland and, after Roofe fired across the face of goal, the Macedonian winger headed off target. They got the second goal their play deserved on the stroke of half-time thanks to an error from Butland, who let Hernandez’s low shot squirm through his hands and into the net. Afobe provided Stoke with a lifeline in the 53rd minute, scoring from the spot after debutant Barry Douglas tripped Ince in the box. But Leeds immediately restored their two-goal lead courtesy of a Cooper header from an inswinging corner. Klich had a glorious chance to put the game to bed, slicing wide in the box from a clever Hernandez flick, while Bruno Martins Indi headed onto the roof of the net at the other end. Not even the late introduction of former England striker Peter Crouch could stop Rowett from suffering his first defeat as a manager at Elland Road.